← Repost: What Are the Church’s Current Rules on Indulgences? So let’s first take a look at the Church’s previous law regarding the Christian burial of suicides, and then contrast it with the law currently in effect. Once we have the answer to Amy’s general question, we’ll be in a position to appreciate the difficult situation in which the Catholic Church in Canada (among other places) may soon find itself with regard to allowing—or not—funerals for Catholics who die by physician-assisted suicide. 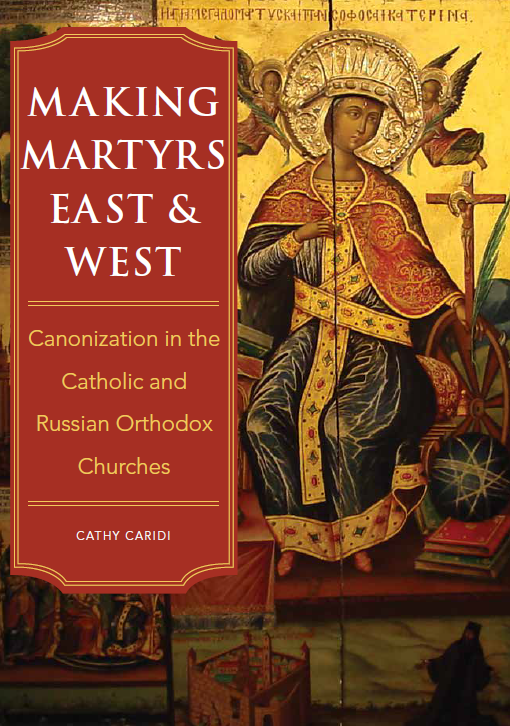 The current Code of Canon Law, promulgated in 1983, contains a canon listing the situations in which a Catholic is to be denied a Catholic funeral. Canon 1184.1 notes that unless a person gave some signs of repentance before death, he cannot have a funeral if he is a notorious apostate, heretic or schismatic (c. 1184.1 n. 1); if he chose to be cremated for specifically anti-Christian motives (n. 2; see “What Does the Church Really Say About Cremation?” for more on this); or if he is a manifest sinner who cannot be granted a Catholic funeral without giving public scandal to the faithful (n. 3). The canon also asserts that in a doubtful situation, the local ordinary (which in practice usually means the diocesan bishop, cf. c. 134.2) is to be consulted (c. 1184.2). Note that the Church’s concern here is focused to a great extent on avoiding scandal. It goes without saying that with the exceptions of young children and mentally disabled persons, we Catholics have all committed sins during our lives, so our funerals will naturally involve the burial of a sinner! 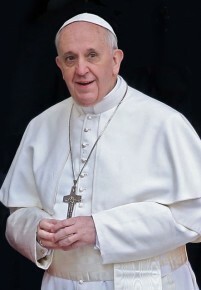 But at issue here is the fear that if the Church holds a Catholic funeral for someone who is well known to the community for grave immorality—the owner of a brothel, let’s say, or a doctor who performed abortions, or the infamous head of an organized crime-ring—the Church would, by celebrating a funeral Mass, be sending society the message that it’s okay for Catholics to do such things. This is the basic reason for refusing such persons a Catholic funeral. The Church takes this position, not out of disregard for the salvation of the deceased person’s soul, but rather because it wants to avoid sending the wrong moral message to the Catholic faithful. This is why, if such a notorious sinner were to repent of his actions before his death, the canon rightly indicates that that is an entirely different situation. As was discussed in “Can a Public Sinner Have a Catholic Funeral?” if it’s known that before his death, the person was sorry for the evil he had done in the past, the scandal is obviated and the issue is moot. In cases constituting those gray areas which can inevitably arise, the bishop has the authority to make the final call on whether to hold a funeral or not. The previous (1917) Code of Canon Law contained a canon very comparable to the current canon 1184 just discussed. But Amy’s mother is correct: included in the list of persons who were to be deprived of ecclesiastical burial were those persons who deliberately kill themselves (former canon 1240.1 n. 3). This category is no longer mentioned at all. Why not? It is God who remains the sovereign Master of life…. We are stewards, not owners, of the life God has entrusted to us. It is not ours to dispose of. Suicide contradicts the natural inclination of the human being to preserve and perpetuate his life. It is gravely contrary to the just love of self. It likewise offends love of neighbor because it unjustly breaks the ties of solidarity with family, nation, and other human societies to which we continue to have obligations. Suicide is contrary to love for the living God (CCC 2280-2281). Grave psychological disturbances, anguish, or grave fear of hardship, suffering, or torture can diminish the responsibility of the one committing suicide (CCC 2282). People who decide to end their lives are ordinarily not in a calm, rational state of mind—because the average person in a healthy mental state naturally shies away from physical harm to himself. It’s only logical that someone who is so emotionally and/or mentally disturbed as to commit suicide is likely not completely responsible for his actions. A person who doesn’t have full control over his decisions and actions cannot be considered fully culpable. (See “Is She Excommunicated? Sanctions, Part II” for more on the issue of culpability.) Thus a person who ends his own life commits an act which is always gravely evil in the objective sense, but it may very well be that in his tremendously distressed state, he actually commits no sin at all. This is why the Catholic Church today normally permits Catholic funerals for suicides. Amy now has the answer to her question. But what about those extreme cases where the person clearly appears to be making a calm, rational, and fully free choice to kill himself? This is what will undoubtedly cause the Church in Canada to be faced with many difficult decisions in the years ahead. To date, there are only a few countries on earth, and a few states in the US, where suicide (generally limited ostensibly to “physician-assisted suicide”) is legal. In theory these laws require a person to be of sound mind, able to make a free and conscious decision to end his life “with dignity.” If in fact a Catholic were to decide to deliberately kill himself under such criteria, it would indeed seem that he had died in the act of committing a grave sin—a theologically frightening prospect. It might be pretty difficult in such a situation for the Church to grant such a suicide a Catholic funeral—since there would by definition be no overt sign of repentance at the end of his life. It could also cause great scandal among the Catholic faithful if such people had Catholic burials—because it could easily be construed as constituting approval for the practice! This is exactly the sort of scenario that canon 1184 is intended to prevent. But the situation isn’t as black-and-white as it may first appear. That’s because in those relatively few jurisdictions around the world where suicide is legal, it has been well documented that the law often isn’t implemented correctly, for various reasons. The most egregious is the fact that in many cases an ill and/or elderly person who supposedly “chooses” to end his/her own life actually has little say in the matter—and a relative with ulterior motives illegally makes the decision instead. This is sometimes referred to euphemistically as “elder abuse,” and a person who dies under these circumstances might appear to have committed the lawful act of physicial-assisted suicide, but in reality he was murdered by others, plain and simple. Refusing a funeral to a person who is known to have died in such circumstances would hardly be consistent with Catholic moral teaching. Another problem with these laws is that seriously ill persons who are in a lot of pain, and/or are taking heavy doses of medication(s), often are simply unable to make a clear, rational decision about ending their life. Such persons are, therefore, not fully responsible for their actions. It is a tragic aspect of these laws, ostensibly created to permit people to “die with dignity,” that they instead offer a suffering person a way to end his pain which can be too tempting to resist. 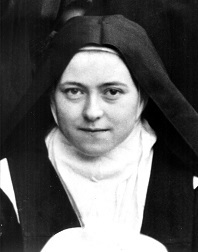 Catholics around the world are familiar with Saint Therese of Lisieux (“The Little Flower”), but relatively few know about her agonizing death from tuberculosis. She suffered from such excruciating pain that she later acknowledged, “If I had no faith, I would have inflicted death on myself without hesitating a moment!” At one point Therese even urged the sister-infirmarian to move her bottle of pain-killers out of her reach, because she felt sure that in her great agony, she would grab them and take a lethal dose to end her suffering. If such a great saint was susceptible to suicide if the opportunity had presented itself, what does that mean for the rest of us? There’s no doubt that unless somehow the Canadian law is blocked from taking effect, the Catholic clergy of Canada will be faced with difficult pastoral situations in the future. Imagine a Canadian Catholic phoning his parish priest to say, “I’m planning to kill myself, Father, and would like to receive the sacraments right before I do. Would you please come and be present at my death?” How could a priest possibly agree to cooperate in such a heinous act? As the Archbishop of Ottawa recently said publicly, “I think we have to be clear that the Church cannot condone this.” But at the same time, he pointed out that the clergy should use such a scenario as a “teaching moment,” explaining to the person why committing suicide for any reason is never morally right. In this way, Catholic priests may manage to dissuade unknown numbers of persons (and/or their relatives!) from taking this irrevocable step. We can see that with regard to funerals for suicides, the Catholic Church tries to maintain a delicate balance, between sensitivity toward the person’s unknown mental state at the moment of death, and the very real need to avoid sending society the message that committing suicide is okay. There’s no question that handling many of these cases with pastoral delicacy is extremely difficult, but at a minimum we can all pray that those unhappy souls contemplating suicide will make a decision in accord with God’s will for them–and choose life. This entry was posted in Other Canonical Questions and tagged canon law, Catholic, funeral, suicide. Bookmark the permalink.